Do you remember? I remember. Just like it was yesterday, i remember. Do you remember? I remember. Just like it was yesterday, I remember. I remember going out to my car that cool, crisp, cloudless late-summer morning to warm it up for the quick journey to the office of the insurance company I where I worked at the time. When I started my car, the radio was already tuned to the AM news station, which was unusual because I was usually listening to Crap Rock or Crap Techno, not Crap News. The morning anchor broke in with an unconfirmed report that an airplane had crashed into a building in New York City, which, as it turns out, is not all that unusual. Plane-meets-building incidents in New York City occurred several times over previous decades, most notably in July of 1945, when a 20,000 pound B-25 Mitchell bomber punctured the north face of the 79th floor of the Empire State Building in heavy fog, killing 14. Subsequent preliminary reports speculated that a navigation error similar to the one in 1945 had contributed to the incident that September morn. I scanned the completely clear, calm blue skies, wondering how a simple navigation error could have put a plane into a building during ideal flying conditions. After all, this was obviously not 1945; seat-of-the-pants flying and dead reckoning were no longer used as a primary means of navigation, especially in the demandingly precise corporate environments prevalent in the commercial aviation industry of the early 21st century. Driving down the road, nothing seemed out of the ordinary, and I confess I was far more concerned with the baseball scores the radio began firing off than some random report of an accident nearly 800 miles away. As I arrived at work, my usual morning haziness had already helped me forget the incident, and I began to focus on work; after all, my bills weren?t going to pay themselves. Soon, half-whispered reports began to filter from co-worker to co-worker, from boss to janitor, from boardroom to mailroom. Something more sinister appeared to be afoot as the meeting I attended in the conference room was interrupted by the CEO, wheeling in a TV. Despite not having cable, we were able to acquire just enough of CBS? broadcast signal over the air?that?s right kids, TV used to be broadcast, for free, over the air?to catch the first tower fall. And then he turned it off. My eyes glazed over as he started talking worky-talk; I quit right then and there, on the spot. I didn?t even formally ?quit,? I just stood up and walked out. The rest of the staff, unable to avert their gaze from the pursuit of the almighty dollar, sat motionless. I guess my bills would have to pay themselves for a little while. As I drove home, I noted the slack-jawed looks of stunned silence on other motorists. The unthinkable was occurring. Our pride, smote. Our national invincibility, pierced. Our idols, pulled down. As I pulled in to the nearest dive bar, right around the corner from my house?sure, it was a dive, but it was my dive, and they had cable TV?I noticed the parking lot was completely full, not like usual. Inside, there was no Crap Rock. No Karaoke. No one bleeding. I edged a stool up to the bar and noticed an elderly man sitting next to me, tears silently streaming down his cheeks. Everyone was transfixed, silent, hypnotized by the scenes of madness emanating from the TV. To this day I cannot describe to you how eerie it was s to sit in a tavern loaded far beyond capacity where not one person uttered a single word. I had to get out. I didn?t know what to do; I just knew I had to leave that bar. So, I did what I suspect many helpless Americans did that day; I went to the liquor store and bought two cases of Miller Lite, a carton of cigarettes, and hunkered down in front of my girlfriend?s cable TV, laptop on my lap, obsessively checking CNN.com every three minutes as if somehow knowing exactly what was going on would assuage the helplessness and grief I felt, that we all felt. I?m pretty sure that between phone calls, emails, texts, and visitors, I stayed awake for the next three or four days straight. I?m not exactly sure when that September 11 ended for me; in fact, I?m not sure it has ended for me, or for any of us. We all live with the ramifications of that day; we always will. I still check CNN.com every morning to see if anything of consequence was blown up whilst I slept. Then I check Fox, just to be sure there is no vast left-wing conspiracy to obfuscate actual explosions. In my frequent airline travels, I wear absolutely no metal and hold no coin. No wristwatch. No belt. No Swiss Army knife keychain. Hell, one time I couldn?t even bring a bottle of hot sauce on the aircraft, on the off chance I might use it as a weapon. I wear shoes that slip off easily. I wear clean socks and underbritches (just in case). I have recently started bringing my young daughter with me on these air travels, and I cringe as she is held to the same standards?a potential terrorist until proven otherwise, even a blonde 4-year-old American white girl. She thinks it is fun to fly on an airplane. It?s sad that, as a former pilot, I do not. And in the back of my mind, as some ignorant fool with less situational awareness than my 4-year-old continues kicking the back of my coach seat, I always wonder if he will be the one to weaponize this sealed aluminum tube, breaking the sound barrier at treetop level with some political target in the cockpit windshield. And I wonder if I could summon the courage to be the one to stop him, like the heroes of Flight 93 foiled their hijackers. Deep inside, I doubt it. In one sense, al-Qaeda?s 9-11 attacks were a remarkable success. Rather than killing America by using overpowering physical force that they themselves did not possess, al-Qaeda simply infected us with a nagging case of syphilis?enough to kill us if left untreated, but in the meantime, festering inside us, making us shaky and infirm, driving us mad as a mercury-huffing hatter. The results of this infection have been particularly striking. We all pay far more for almost everything than we did in back then. Gasoline costs more than twice the $1.53 a gallon we paid in September 2001; increased fuel costs have been a powerful drag on our economy for nearly a decade now, raising the price of everything from beer to bacon. These irritating and costly daily annoyances force us to remember, every day, in subtle ways, of the trauma of that September day 10 years ago when the forces of evil kicked us square in our God?not our churches, mind you; in our economy?for we all surely worship the dollar far more than we worship any ?God.? Think about it: when?s the last time you dragged your tired, hungover-self to a building you hate, early in the morning, to do things you hate while surrounded by people you hate? I?m pretty sure it was not church last Sunday?more like work, yesterday. 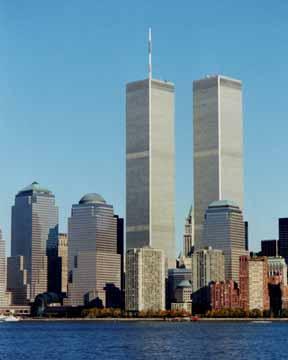 But, as with all traumas, the passing of anniversaries, while ultimately trivial and completely subjective, does play an important role in healing; however, this one anniversary gives us little reason to remember, because since September 11, 2001, it has been September 11, 2001 every day .